The winter is a great time for home renovations for a few reasons. Some renovations are less expensive during the off-season because prices tend to increase during the spring and summer for both services and supplies. Also, you may be able to get permit approvals and time scheduled with the contractors more quickly since this is a slower time of year for them. Here are a few tips for successful winter renovations. Since it’s cold outside and the weather may affect certain projects, try to focus your efforts on interior improvements. 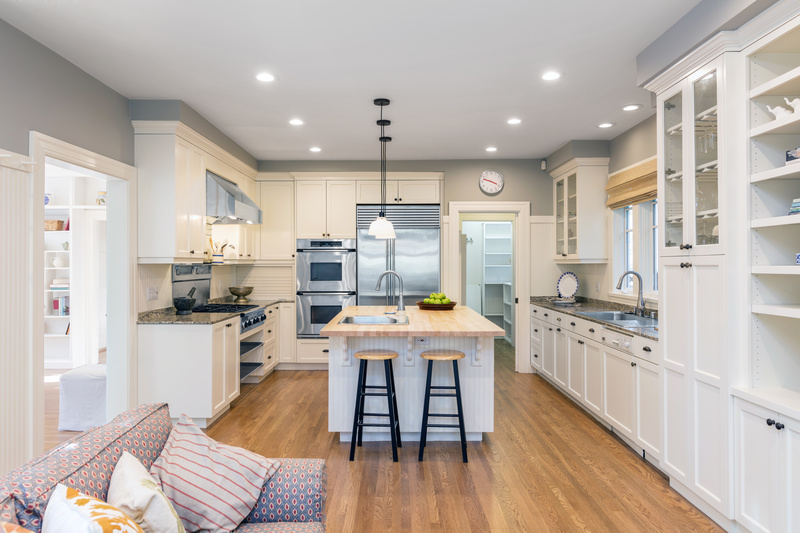 Projects like basement remodeling, painting an enclosed porch, kitchen upgrades, laying flooring, repairing drywall, and replacing appliances can all be done in the winter months. There are technologies and processes available to help reduce or eliminate dust, fumes, and debris. If you do have projects that need to wait until the warmer months, now is a good time to start talking to contractors. Set some appointments to get estimates and timelines. Since spring and summer are their busiest times, go ahead and try to get on their calendar as soon as possible for these projects. You can usually find better inventory in the winter. Appliances, faucets, and fixtures tend to stay on the shelves longer. This gives you more time to do some research so you can find exactly what you’re looking for. Winter weather can be unpredictable. Sometimes it can warm up faster than expected, or stay cold longer. If there are periods of nice weather, consider talking to your contractor about any extra projects you’ve been thinking about. Adding a sunroom, building a deck, or adding a porch probably won’t be possible during a snowstorm, but if there is a long period of nice weather, you might be able to get these projects finished.